You can use Google MapMaker. 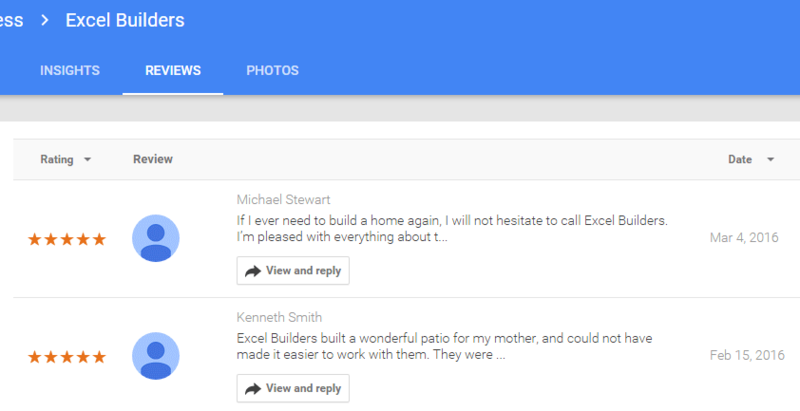 Search for your business and check if there are multiple listing present. 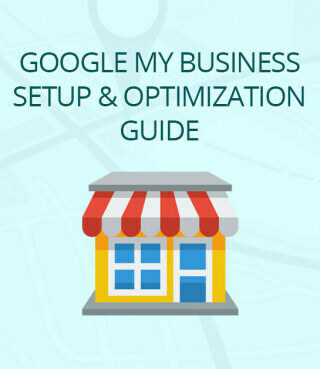 Login to Google My Business Page and click “Manage Location”. Make sure the completeness meter is 100%. 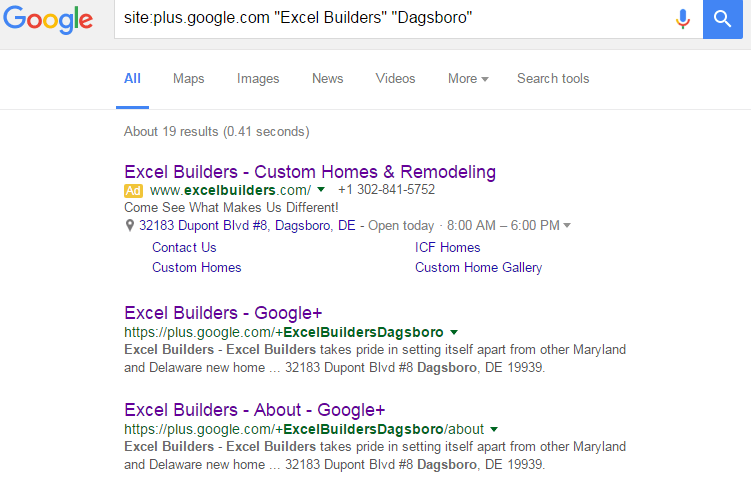 Google will suggest what needs to be done on your GMB page on order to made the profile complete. Business name must be the doing business as (DBA) or legal business name. 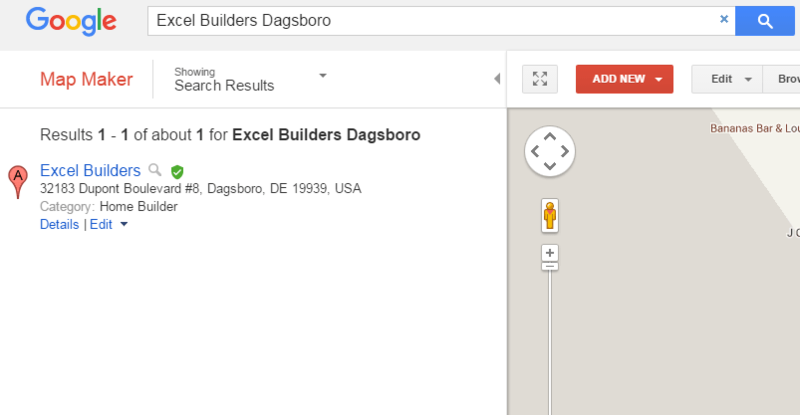 Do not add special characters, keywords and city except if its really part of your business name. 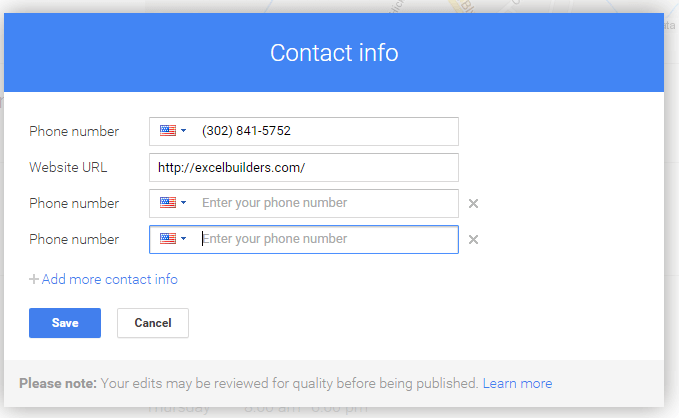 Address must be complete and must be visible for mortar-and-brick business. For SAB (service-area-business) or those businesses that do not accept client on their address, it is recommended to hide their address. Google will only display city and state on the live page. Check contact info. You can add multiple phone. Make sure to use local phone # as the main phone. Add a website link, for business with multiple location, it is best to have a specific landing page for each location. Category checking. 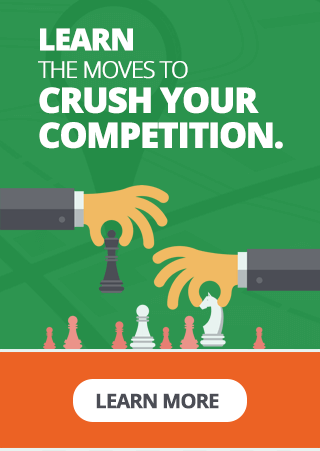 Make sure to only enter relevant category to your business. 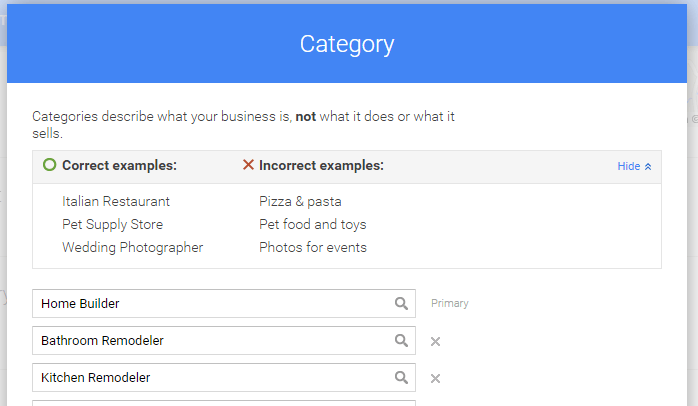 You can enter multiple category as long as it is available on Google database. You can’t add a custom category. Check the hours if correct. Check Business Introduction. The longer the better. 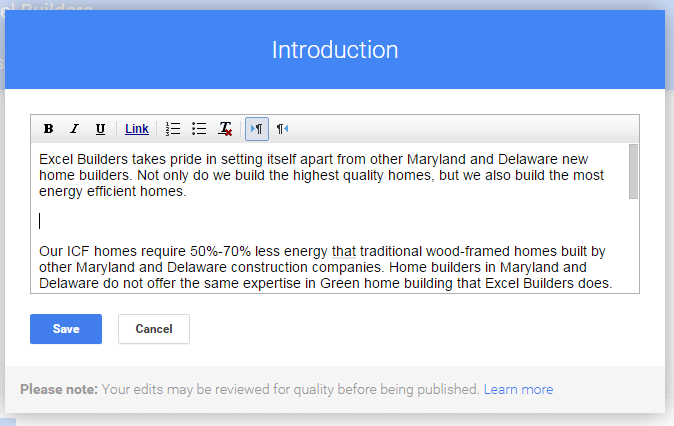 If you write more content, you can include your targeted keywords and can also include multiple links. 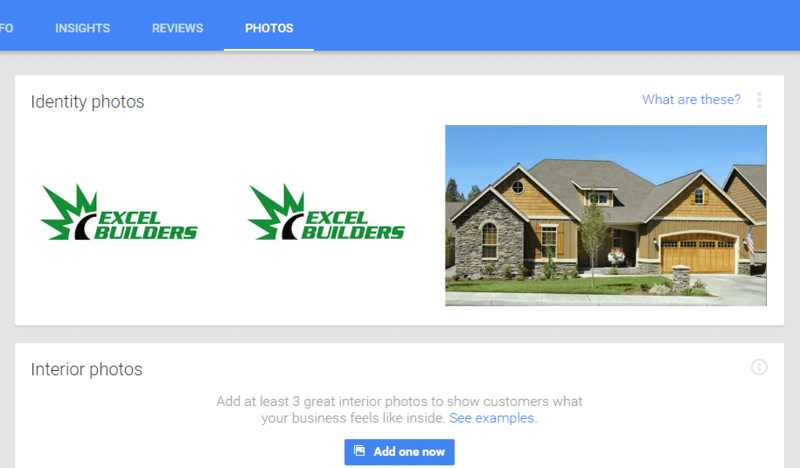 Make sure business uploaded images for Profile Photo, Logo and Cover Photo. Additional images can be uploaded on the right category; Interior photos, Exterior photos, Product photos, Team photos, and Additional photos. Make sure there are good amount of reviews. Also check for bad reviews left and client must respond to these reviews to show that the business is serious on improving the quality of the service/product. 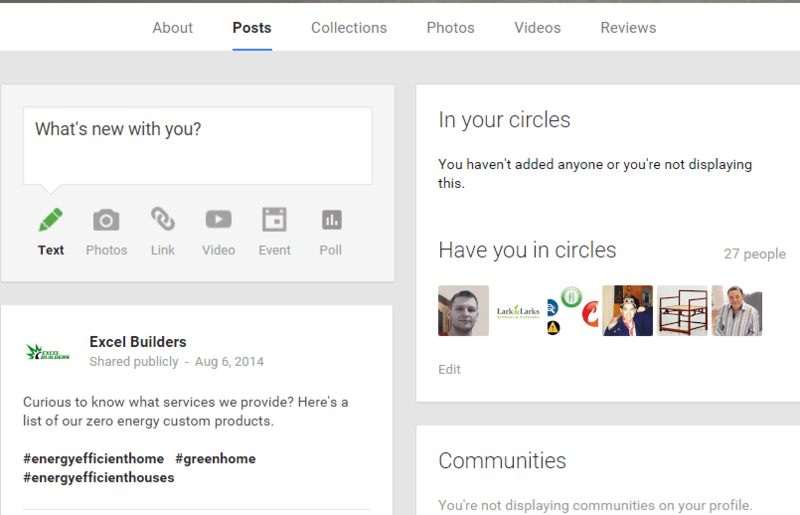 It is recommend that the page must be active on Google plus, share some relevant article or links, add people and circle. This can increase the engagement and a possible client.